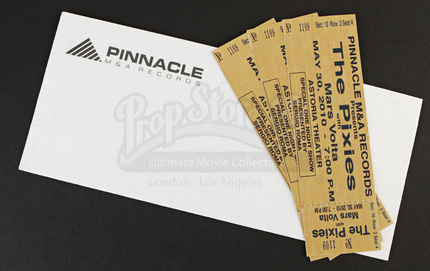 An Envelope of Pixies Tickets from the 2010 music comedy, Get Him to the Greek. In the film, a low level record company intern is placed in charge of an out of control rock star and must guide him to L.A. to perform at the Greek theater. 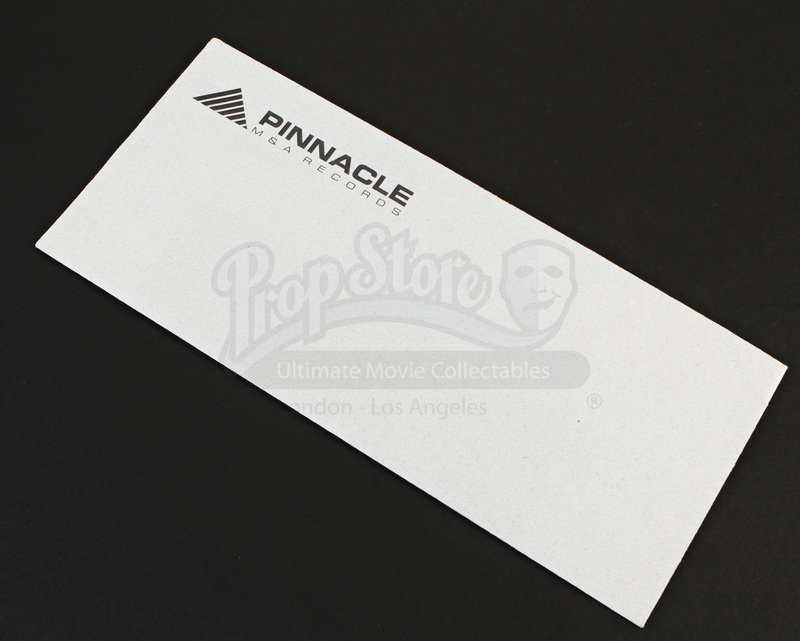 This envelope comes from the scene in which Aaron (Jonah Hill) asks his girlfriend Daphne (Elisabeth Moss) if she will go to a concert with him. 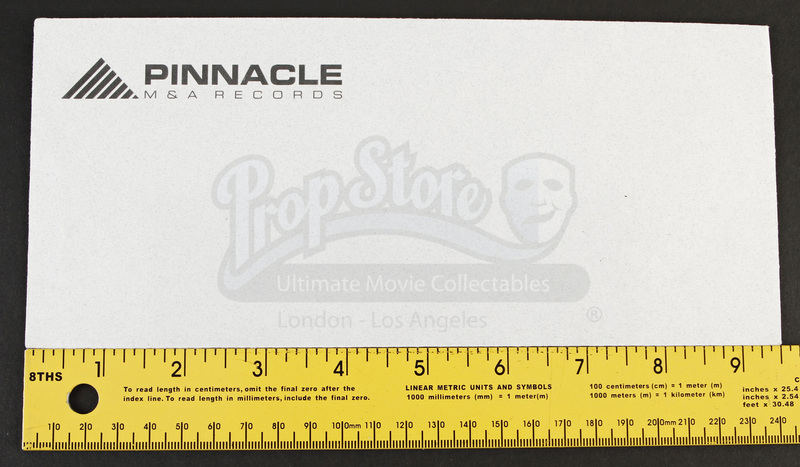 The envelope has a textured exterior and carries the name of the studio he works for, "Pinnacle Records", at the top left. 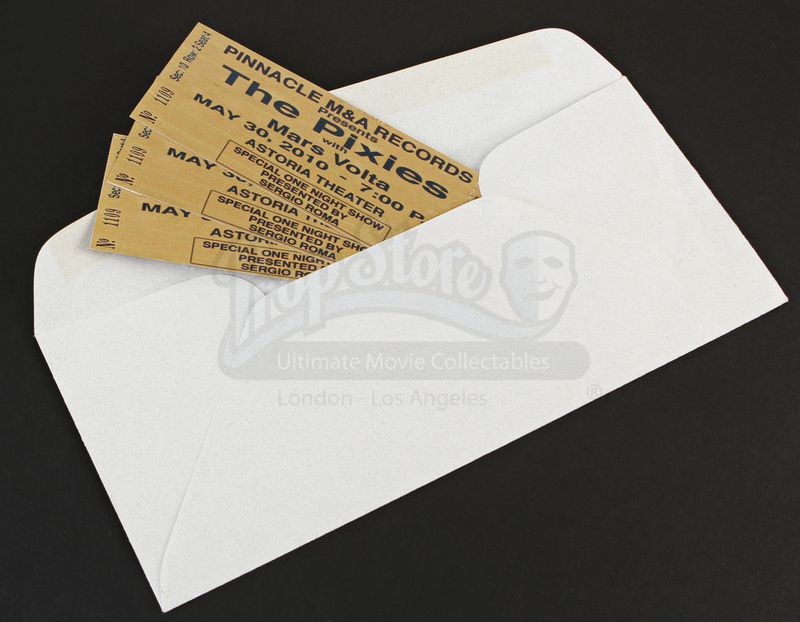 Inside the envelope is a set of three tickets printed on gold cardstock. 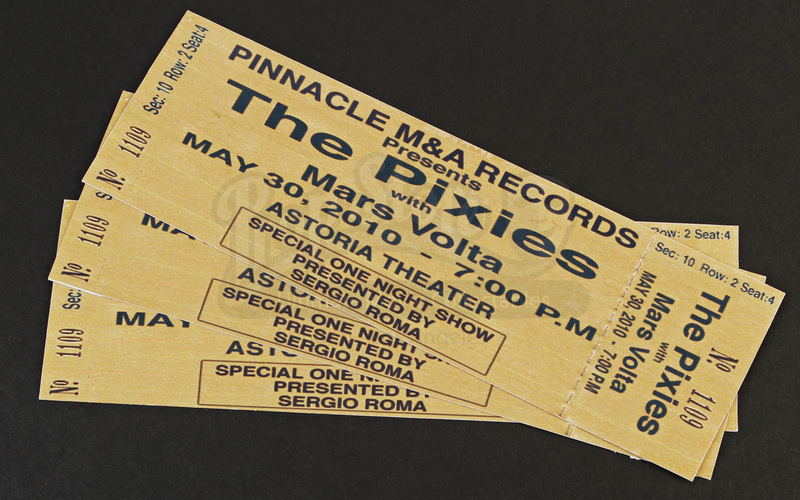 The concert takes place at the fictional Astoria Theater and features alternative rock bands "The Pixies" and "Mars Volta".